CDC Food Allergy Guidelines: Who Are They Really Protecting? I recently heard Kim Turner speak at the USAnaphylaxis Summit hosted by AANMA. In her speech she explained negligence and reckless, willful and wanton conduct which in layman terms means that once an individual is certified in doing something (epi training) they are held legally responsible to act accordingly (using epi). 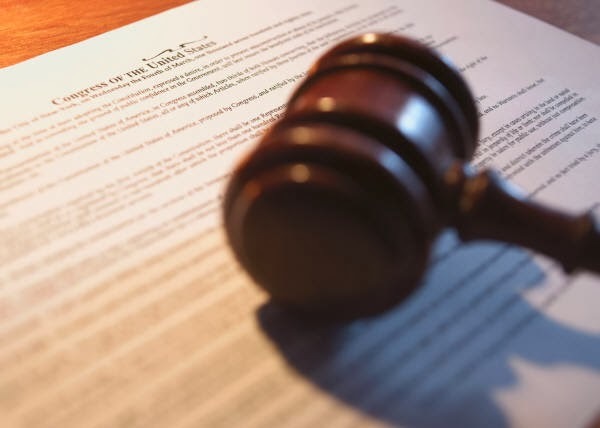 If harm is done due to the certified individual not acting accordingly (delaying use of epi), then said individual can be held legally accountable (sued). 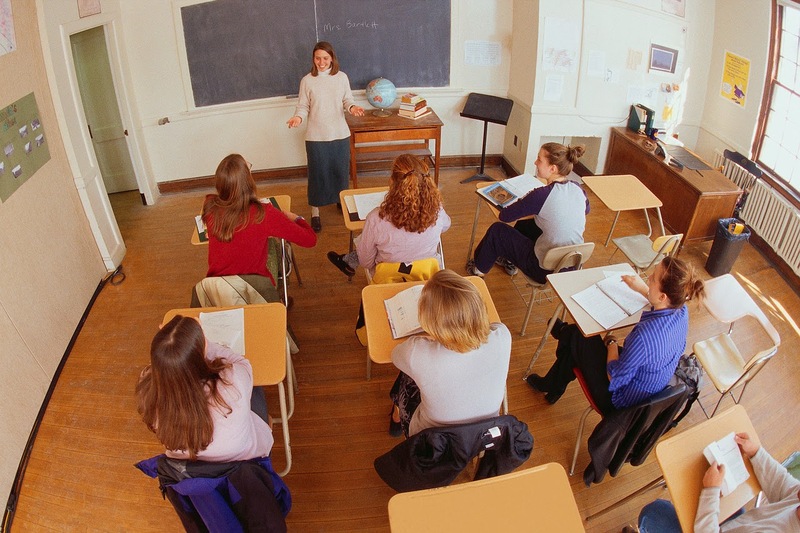 The Good Samaritan Law only protects the teacher if they are outside of the workplace. Keep this in mind when reading the following information. Below, you’ll find excerpts straight from the 108 pages of Voluntary Guidelines for Managing Food Allergies in Schools by the CDC. The document has wonderful information and is proof that food allergy awareness is rising. However, I feel the need to point out what is missing. Many of you will not read all 108 pages but I urge you to read the few paragraphs below, especially the bold print. The contradictory information provided shows just how far we still need to go to make our schools a safer place for our children, all of our children. It admits that the delayed use of epinephrine has contributed to MANY fatal cases. It admits the risk of death outweighs the risk of side effects from using epinephrine. It also states that epinephrine needs to be administered immediately. YET, it also states that school nurses are not required in all schools, epinephrine is still being locked up, and the only one required to administer epinephrine is a nurse or someone who willingly took the training knowing that it now holds them legally responsible to do so. the only one required to administer epinephrine is a nurse or someone who willingly took the training knowing that it now holds them legally responsible to do so. 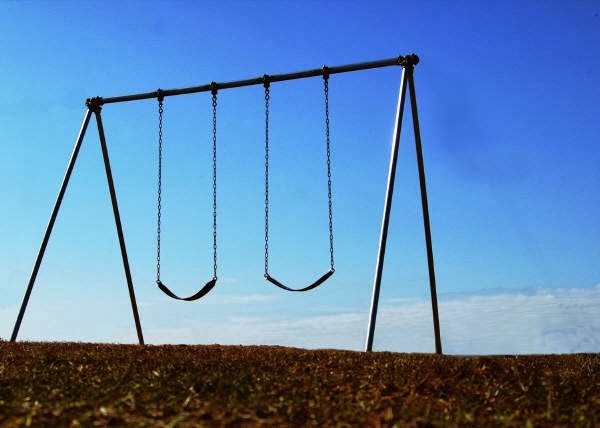 I had told the school that I wanted them to stand on the playground, while a 2nd person runs to a teacher, then to the nurses office finds a particular [student name] Epipen® in the locked filing cabinet, then run that back to them on the playground. While being timed. Now see if you can hold your breath that long. While thinking of Jenny’s example, does anyone think it possible that the epinephrine could be administered immediately? Like the CDC guideline suggests? How many of you think this situation would be considered a delayed use of epinephrine? We can even change this example around and have the EpiPens® on the individual and the story remains the same. However, instead of one child gasping for breath while waiting for medicine to arrive, you have one child gasping for breath waiting for a certified individual that is legally protected to administer the medicine. Why? Because the laws and guidelines in place protect the teachers and schools not the child. If the safety of the children were the main focus, more people would be required to be certified to administer life-saving epinephrine. Instead, I feel the laws allow the teachers to not become certified so that the teachers and the schools do not have to be held legally responsible. Maybe the document should instead be titled “Protecting Our Schools from the Liability of Food Allergies”. Our next goal needs to be requiring additional individuals certified in administering life-saving epinephrine in ALL schools! The recommended first line of treatment for anaphylaxis is the prompt use of epinephrine. Early use of epinephrine to treat anaphylaxis improves a person’s chance of survival and quick recovery. It is not possible to set one guideline for when to use epinephrine to treat allergic reactions caused by food. A person needs clinical experience and judgment to recognize the symptoms associated with anaphylaxis, and not all school or ECE program staff have this experience. Some schools and ECE programs offer clinical services from a doctor or registered nurse. In these cases, the doctor or nurse can use the clinical guidelines to assess children and make decisions about treatment, including if or when to use epinephrine. However, many schools and most ECE programs do not have a doctor or nurse onsite to make such an assessment. In these cases, a staff person at the scene should call 911 or EMS immediately. If staff are trained to recognize symptoms of an allergic reaction or anaphylaxis and are delegated and trained to administer epinephrine, they also should administer epinephrine by auto-injector at the first signs of an allergic reaction, especially if the child’s breathing changes. In addition, school or ECE program staff should make sure that the child is transported without delay in an emergency vehicle to the nearest hospital emergency department for further medical treatment and observation.24,35 These actions may result in administering epinephrine and activating emergency response systems for a child whose allergic reaction does not progress to life-threatening anaphylaxis. However, the delay or failure to administer epinephrine and the lack of medical attention have contributed to many fatal anaphylaxis cases from food allergies.25,36–38 The risk of death from untreated anaphylaxis outweighs the risk of adverse side effects from using epinephrine in these cases. 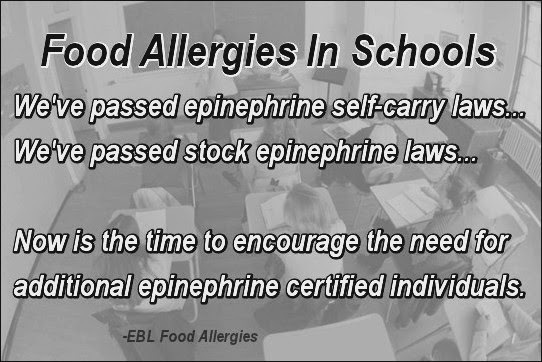 Delays in using epinephrine have resulted in near fatal and fatal food allergy reactions in schools and ECE programs.25,36,37 In a food allergy emergency, trained staff should give epinephrine immediately. Early and appropriate administration of epinephrine can temporarily stop allergic reactions and provide the critical time needed to get medical help. Awesome post, Elizabeth! Truly "food for thought". We can but hope that new addendums/laws will be added to remove caregivers' and educators' fears about handling allergic emergencies, so they can focus on what really matters – saving lives! I don't give much thought about being a "wet blanket". I just want to make sure that parents understand what is and isn't being done to protect their children. I'm not so sure they understand that even if their child can self-carry doesn't mean that the adults in the room can administer the medicine. My son has had two anaphylactic reactions that happened very quickly. He requires immediate use of epinephrine after ANY dairy consumption because of his previous severe reactions. Even if the nurses office is stocked with epinephrine, even if he has the ability to self-carry, even if the CDC publishes these voluntary guidelines…it is not enough if the only person certified to use the only life-saving medicine is on the other end of the school building. Which is why I home-school him and will continue to do so until I feel that the schools can keep him safe and keep him alive. Unfortunately, this guideline proves that they still do not "get it". Yes, and I didn't mean to imply that you were being a "wet blanket". 🙂 I just felt so many reservations when the guidelines were released, yet everyone was so excited. I totally agree that so many still don't "get it" and we are currently homeschooling, too! Absolutely my favorite post. Excellent! This is a problem we are dealing here in my school district. I have a 504 plan, yet, when I sign up my daughter for school each year, there is a statement stating the principals has the right to call or not call for emergency medical services. I brought this up to my district, who says the wording is old and not correct. Yet, nothing has been to done to change it. Since I was in the middle of stock epi legislation, it was not the time to address the issue. Hum…maybe for 2014? Thank you, Caroline. I think it's a very important topic, one that keeps me from sending my son to school. I appreciate all that you have done to get the stock epi passed and it is you and others like you who take it upon themselves to make a difference. You have been an inspiration to me that proves that we can make a difference. Let do this!